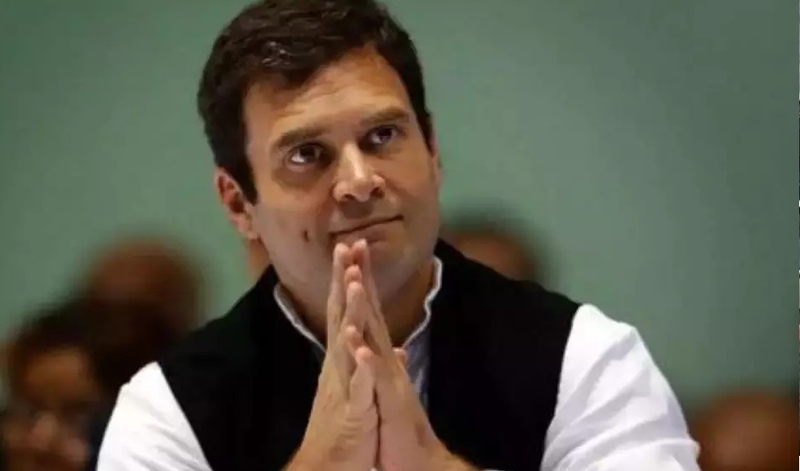 IN A bid to improve the Congress’ position in south India, party President Rahul Gandhi will contest from Wayanad Lok Sabha constituency in Kerala besides his traditional stronghold of Amethi in Uttar Pradesh. Veteran Congress leader from Kerala and former Defence Minister A K Antony made this announcement at a press conference here Sunday, saying Gandhi had consented to fighting from Wayanad following requests from the party’s State unit. The decision is seen as an attempt by the Congress to consolidate its electoral base in south India, especially Kerala which has 20 Lok Sabha seats. Tamil Nadu has 39 Lok Sabha seats and Karnataka has 28. “This is a message to the southern States that they are deeply valued and respected. Congress President Rahul Gandhi has said he will represent Amethi but will also represent southern States as they are an important part of India’s way of life,” Congress chief spokesperson Randeep Surjewala said. He said Gandhi has said Amethi is his ‘karmabhoomi’ and he will never leave it. The announcement evoked sharp reactions from both the Left and the Right of the political spectrum. Reacting to the development, CPI(M) Politbureau member Prakash Karat said that the decision of the Congress to field Rahul Gandhi from Wayanad shows that the party wants to take on the Left in Kerala. “Their priority now is to fight against the Left in Kerala. It goes against Congress’ national commitment to fight BJP, as in Kerala it’s LDF which is the main force fighting BJP there,” he told reporters. The CPI(M) ex-General Secretary said his party will work to ensure the defeat of Rahul Gandhi in Wayanad. BJP Chief Amit Shah also took a sharp dig at Gandhi contesting from 2 seats at a rally in UP. “Congress’ votebank politics has worked on playing with the security of the country. It is the result of this that Rahul Gandhi has left Amethi and run away to Kerala because he knows that voters will seek account from him in Amethi this time,” Shah said. Union Minister Ravi Shankar Prasad on Sunday took a potshot at Rahul Gandhi for deciding to contest Wayanad seat in Kerala, claiming that the Congress chief is feeling “uncomfortable, insecured and helpless in Amethi”, his Lok Sabha constituency for three terms in a row. Rae Bareli, the constituency of Sonia Gandhi, and Amethi are considered as his family’s pocket borough, but he is so scared that he fled to a place far away in south India, Prasad told reporters here.Earlier, Surjewala said the State units of Kerala, Karnataka and TN had requested him to contest from south India at a time when there is attack on the language and culture from the Modi Government, he said. Rahul senses loss in Amethi, so shifting seat to Kerala, says BJP: STEPPING up attack on Congress President Rahul Gandhi for his decision to contest from Amethi and Wayanad in Kerala, Mohsin Raza, the lone Muslim Minister in Yogi Adityanath Government on Sunday said that he has sensed his defeat from Uttar Pradesh. Congress will have to explain why Rahul contesting from Wayanad seat against LDF, says CPI(M): CPI(M) General Secretary Sitaram Yechury said on Sunday that Congress President Rahul Gandhi contesting against Left Democratic Front (LDF) from Wayanad Lok Sabha constituency conveys a message which the party will have to explain to the people.